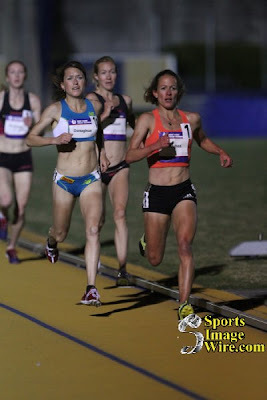 Jen Rhines ran 9:09 at the Brutus Hamilton Invitational in Berekely on Friday night, good for 5th place. Rhines is aiming to get under 9:00 for the outdoor season, and a 9:09 this early on is nothing shameful. Her best last year was 9:02, achieved in August at Gateshead in the UK, although she does own an off-the-charts 8:35 PR from 2007. Ex-Cat Marina Muncan served as rabbit. Results are here (and video of the race is at bottom).